I love these light and crispy waffles. Our waffle recipe is quick and simple to make and produces the best light and crispy homemade waffles. Jump to the Best Waffle Recipe now or watch our quick recipe video showing you how we make it. If you are looking for light and crispy waffles then you are most certainly in the right place. I love my waffles to be on the thinner side. Our recipe makes four to five thin waffles (maybe 1/2-inch thick). 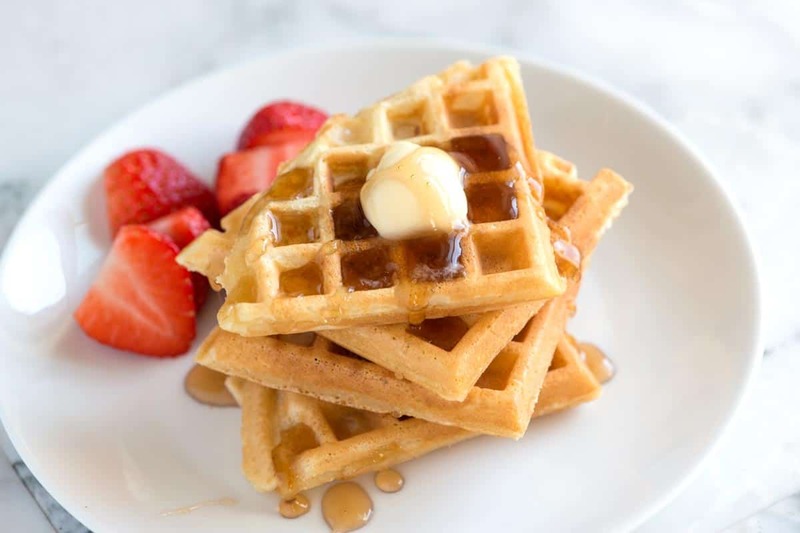 If you are looking to make Belgian waffles or are using a deep waffle iron, you will probably get around three waffles from our recipe below. These waffles aren’t technically Belgian waffles, which often call for yeast or egg whites that have been beaten until fluffy. Instead, these easy waffles can be made quickly and calls for ingredients we always have in our kitchen. Let me walk you through what you will need so you can say goodbye to flavorless, floppy waffles and hello to waffles that are light and crispy on the outside and chewy in the middle. All-purpose flour is my go-to flour for these waffles. You can try whole wheat flour if you’d like, just expect the texture to be a little heavier. Cornstarch is our “secret ingredient” for making the crispiest waffles. Mixed with flour, cornstarch guarantees that your waffles will be perfectly crisp on the outside and tender on the inside. Baking powder and baking soda help the waffles rise and brown. For the lightest waffles, I recommend using both. Sugar, salt, and vanilla extract provide lots of flavor. I keep the sugar amount low since I love pouring maple syrup on top, but for sweeter waffles, you can increase the sugar. I call for 1 tablespoon, but adding an additional tablespoon wouldn’t hurt. Milk and oil are the liquid components to the recipe. You can use regular milk or non-dairy milk. As for the oil, I stick with something that tastes neutral like grape seed or safflower oil. For a coconut flavor, you could try melted coconut oil. If you are wondering about butter, you can use it, but the oil will produce a more light and airy waffle. Egg adds tenderness and provides structure. Just one egg does the trick. If you want waffles without eggs, you can substitute with a flax egg. Since sharing our waffle recipe, many of our readers have asked if our waffles recipe can be made using buttermilk. The answer is 100% yes! Since we rarely have buttermilk in the fridge when waffle cravings hit, we thought it was important to share how to make them without buttermilk, but the great thing about this recipe is that you can use regular milk, non-dairy milk, and even buttermilk. Whisk the dry ingredients together. That’s the flour, cornstarch, baking powder, baking soda, and a touch of salt. Whisk the wet ingredients together in another bowl or do what I do and whisk them right in a measuring jug. Hooray for less dishes! Combine the wet and dry ingredients. I whisk until I no longer see streaks of flour. If there are a few small lumps of flour left, that’s okay. Set the batter aside for 10 minutes. In this time, you can preheat your oven (I talk about why below) as well as your waffle iron. The 10 minutes of rest time allows the baking powder to activate. Cook the waffles. I use about 1/2 cup of batter for each waffle, but the amount of batter will depend on your waffle iron. 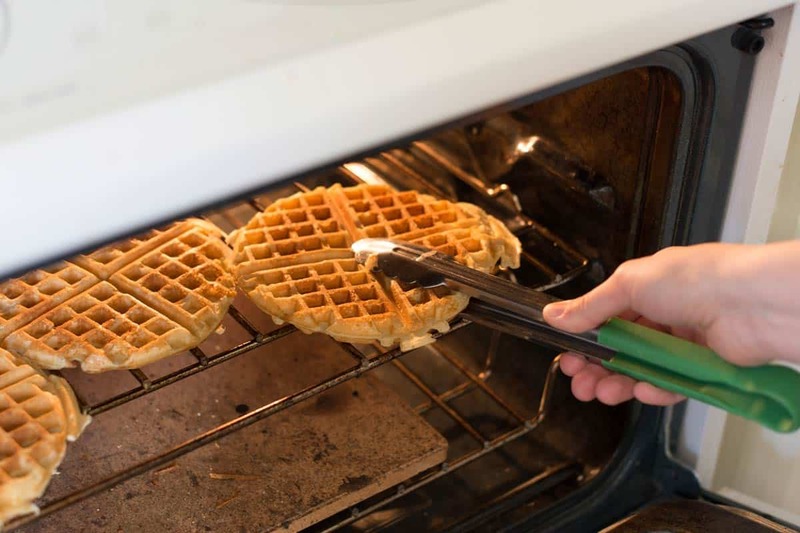 Transfer cooked waffles to a warm (200°F) oven so they stay warm and crisp. The combination of flour and cornstarch guarantees light and crispy waffles. For light and airy waffles mix the batter until just combined, there’s no need to over whisk the batter. I love my waffles on the thinner side and find a regular waffle iron is perfect for this recipe. As waffles sit, they loose their crispness. To prevent floppy waffles, keep the cooked waffles in a warm oven while you finish cooking the rest of the batch. Don’t overwork the batter. 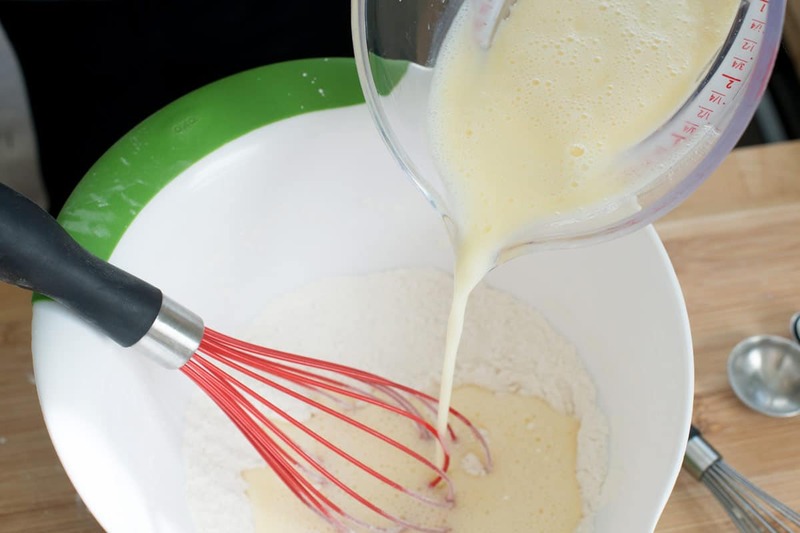 Just like pancakes or muffins, you want to be gentle when mixing the wet and dry ingredients together. Only whisk or stir until just mixed — no need for beating here. Be prepared to throw away the first waffle. Unless you know your waffle iron like the back of your hand, you’ll probably need the first waffle to test out temperature and cooking time. After the first waffle you should have a better understanding of the amount of batter to add (ours takes a 1/2 cup of batter), the best heat setting and timing. Before you start making your waffles, heat the oven to 200° F. Once each waffle is done, set the cooked waffle directly on the oven rack to keep it warm and crisp. Repeat with the remaining batter, holding the waffles in the oven (try not to stack them). The extra few minutes in the oven adds even more crispiness to the outside of the waffle and keeps them warm for serving. For extra light and crispy waffles, separate the eggs. Mix the yolk into the wet ingredients. Then, whip the egg white until stiff peaks form. Once you’ve combined the dry and wet ingredients, fold in the beaten egg whites. Separating the egg and beating the white adds airiness to the waffles and makes them extra light. These Easy Fluffy Pancakes are my go-to pancakes. Or try our Easy and Delicious Whole Wheat Pancakes. If you love banana, try these Spiced Buttermilk Banana Pancakes. These light and crispy waffles come together quickly. Cornstarch is the secret for crispy waffles. Mixed with flour, cornstarch guarantees that your waffles will be perfectly crisp on the outside and tender on the inside. 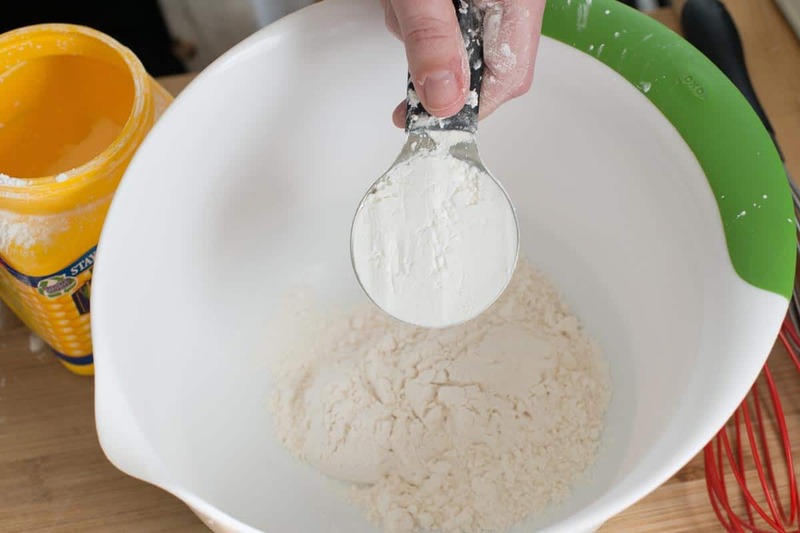 Whisk the flour, cornstarch, sugar, baking powder, baking soda and salt in a medium bowl. In another bowl or large measuring jug, whisk the milk, vegetable oil, egg and vanilla together until blended. Pour the milk mixture into the flour mixture and whisk until just mixed. Set batter aside for 10 to 15 minutes so the baking powder has time to activate. Heat the oven to 200° F and heat the waffle iron. Pour the batter onto the heated waffle iron (ours takes about 1/2 cup) and cook until the waffle is crisp and golden brown. Immediately set the cooked waffle directly on the oven rack to keep it warm and crisp. Repeat with the remaining batter, holding the waffles in the oven (try not to stack them). Serve with butter, syrup and berries. 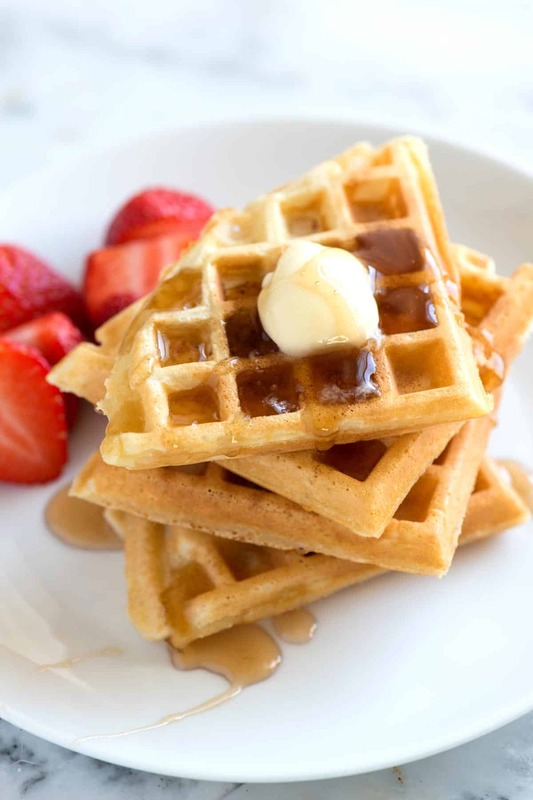 Buttermilk Waffles: To make buttermilk waffles, simply replace the milk with 1 cup of buttermilk. Or, use a combination of milk and buttermilk. 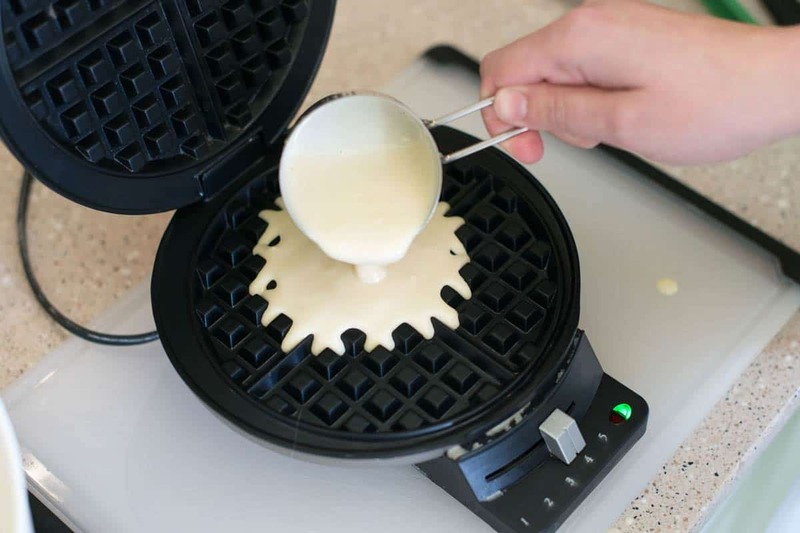 Extra Light Waffles: For even lighter waffles you can separate the egg. Mix the yolk into the wet ingredients. Then, whip the egg white until stiff peaks form. Once you’ve blended the dry and wet ingredients, fold in the beaten egg white. About the Salt: We use kosher salt. If you don’t have it on hand, keep this in mind: 1 teaspoon fine sea or table salt = about 1 1/4 teaspoons kosher salt. Nutrition facts: The nutrition facts provided below are estimates. We have used the USDA Supertracker recipe calculator to calculate approximate values. We assumed 5 waffles. The calculations below are for 1 of 5 waffles. Absolute perfection! Made a double batch a few weeks ago so I could freeze some for another day. I ended up bringing a few to my mom who said they were the most incredible waffles she’s ever had, anywhere, anytime. I think that says it all. Make this recipe and do not skimp on beating the egg white separately, it’s worth the extra step. Thank you so much for sharing this recipe, going to make a batch now, need to satisfy my waffle craving for dinner. I have never made waffles before and was given a waffle iron for Christmas (7 months ago!!) 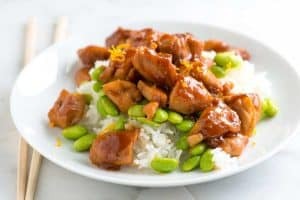 I found this recipe and followed the tips. Used buttermilk, separated the egg, and put the waffles in the oven to crisp up more and stay warm. I did tweak the recipe flavor a little. I added about 1/2 tsp more vanilla and added about 1 tsp of nutmeg. (I love nutmeg) WOW! Just WOW! They were DELICIOUS!! They came out PERFECT the first time!! I followed my manufacturer’s directions for cooking and WOW!! They were AMAZING! Great recipe! Worked very well. Very happy kids here! First waffle recipe which is really light and crispy! Yes, it is runny but this is how it’s supposed to be, just like crepes. Incredible. No need to try other recipes now. Especially like your tip on 200° oven keeping warm. Best ever. Texture is perfect. Not new to making waffles. I have lived in three continents and several places in the US, Europe, and Asia. This recipe took the number one spot in my go-to recipe binder, breakfast items tab (I have been in the military for well over 20 years). The crispy outside was what my youngest daughter and I were aiming for. At the first try one Saturday morning we succeeded!! I had never heard of cornstarch and had not thought about the oven; both great tips!! THANK YOU!! I, on purpose, make larger batches of pancakes and freeze them so that I can put them in the toaster and give them that crunchy crust. No need for this recipe!! A-Mazing! I hadn’t made waffles in years. Before fixing away my waffle maker I thought I’ll five it one last go. Your recipe (and thanks for the video) was amazing! The kids are thrilled. I got 6 thumbs up! And now I’m keeping my waffle maker and bookmarking your site! Thank you. I followed recipe exactly as it, and although they did come out crispy, they tasted like baking soda/powder, just unpleasant. It’s to bad bc with the other reviewers rating, I was hoping for a hit. This recipe is a keeper, even the hard to please family couldn’t get enough! I followed the recipe, using buttermilk instead of milk (one of the alternatives) and they were perfect, crispy on the outside, and soft on the inside. This is the best waffle recipe-EVER! It was dinner tonight for my hungry family of 6 (yes, I made a bigger batch) and we devoured them! Made these waffles exactly as recipe stated. Best waffles of my 62 years on this planet! I am firm believer using stiff egg whites in my waffles. Did NOT do so with these and they were still amazing. I would not change a thing! Tried this for the first time this morning. Terrific results! 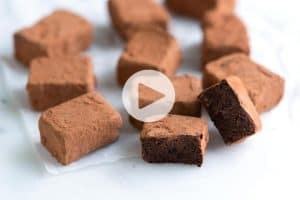 I appreciate all the tips and info and the simplicity of this recipe. What a difference from using a pancake-batter adaptation. Thanks much. Made them many times already! Separated the eggwhite though.. i normally add more sugar to help the eggwhite being more stable.. tried them with pandan paste.. taro powder.. all so good! My family keeps requesting them 🙂 best! This was incredibly bad – to the point in which I wondered if the recipe was glitched – 3/4 cup of flour?! It was runny and awful. I added more flour and tweaked the consistency to get it thicker, then it was fine. Hi Meriah, Did you try to make the waffles before adding flour? The batter should be quite thin. Yes, the batter was thin when I made these also and I thought these are never gonna work they’re gonna stick to my waffle iron. But surprisingly they didnt stick and they were perfect waffles. Loved these! Used buttermilk instead of milk and used 2 separated eggs and whipped egg whites. Fabulous! So light & tasty! The batter was way too thin and runny I had to add a cup of pancake mix to thicken it before putting in the iron. I think next time I’ll try to double the dry ingredients next time. Cornstarch is a must though that’s why I tried this recipe. I didn’t think it was anything like waffle house though as someone said, love those waffles but their batter is very thick. Great Recipe. I substituted melted butter for the oil and I separated the egg. These waffles were perfect! These were as close to Waffle House waffles as a home waffle can get on an electric Cuisinart traditional waffle iron (as I do not care for Belgium waffles) I followed the recipe to the letter with a small exception… I added 1 TBsp more sugar. My, my, my, just delicious! 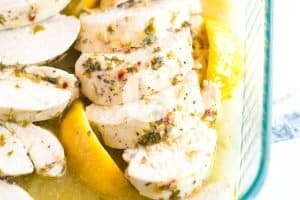 I loved the simplicity of this recipe! I made them in a snap. The waffles were tasty, light and crispy and not too sweet. Just perfect! Can I make this batter up the night before and refrigerate it? I just have so much to do the morning of Thanksgiving that having this prepped already would be great. Hi DD, I’d mix the dry ingredients together and then mix the wet separately. Keep the dry and wet separate until the morning. Crispy and light. Adding in whipped egg whites and keeping the batter just mixed are great tips. Kids loved them. Thank you! Try with some crushed pecans or blueberries. Delicious! Hey I liked recipe but had to go thicker wAffles and add a few things to make them have taste desired. Love the cornstarch idea has made huge difference in my own wAffles now. I had a pretty awesome recipe tried yours several times was really thin batter so we thickened it up some we made our wAffles about 1-1/2″ thick minimum on a hundred year old cast iron waffle maker. We loved them after a few small changes to your recipe. We liked your recipe just wasn’t our style of wAffles exactly. We always make them thicker to support fruit or compote of some sort fresh from ranch here. That cornstarch addition is brilliant makes best wAffles ever I had. Seems to me thicker batter though was key to perfect waffle even with your recipe. 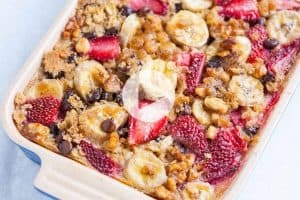 We kind of took that recipe and thickened it up added a few key ingredients we like we’ve done peaches blueberries all kinds of fruit in the batter and yeah it’s awesome thanks job well done. What did you use to thicken up the batter? The original is thin which I didn’t mind as is rose fine and had a nice crispy outside. However, there is a lot of body to the waffle, very airy as it is. Any help you can provide is appreciated. Thanks.